Turmeric is rich in antioxidants and is anti-inflammatory. Lindsey lists 28 different health conditions that turmeric may help prevent or treat. Indian women have used turmeric traditionally in their beauty regimens for beautiful, radiant skin. Turmeric facial masks are used to nourish the skin, and smooth lines. Lindsey shares a recipe for a radiant facial skin mask made with turmeric. There’s also a very helpful list of beneficial oils you can add to the facial mask. It’s a very easy recipe to make and apply. 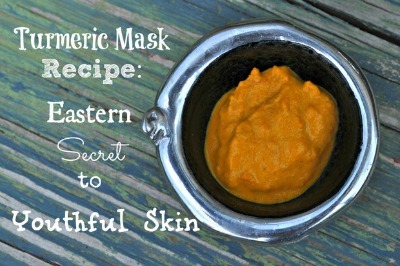 Click on the Turmeric Mask Recipe: The Eastern Secret To Youthful Skin link below to see the complete article and recipe.